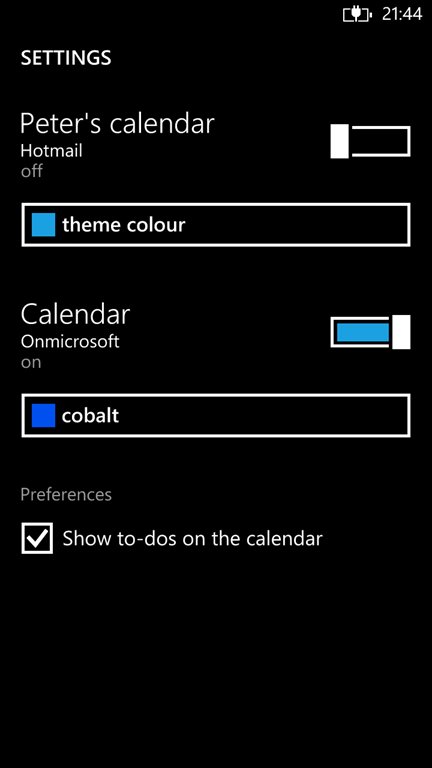 When moving to Office 365 I found it difficult to stop my Windows Phone syncing its calendar and contacts with Hotmail. Here is how I finally did it. 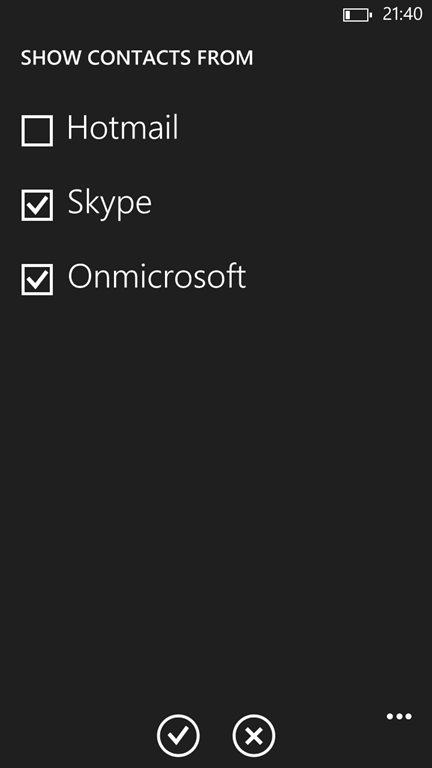 For the reasons I was using Hotmail and Gmail see Synchronize Windows Phone with Outlook Emails, Contacts, Calendar and Tasks. Hotmail was the primary Windows account on my phone and Windows Phone does not allow changing the primary account without a hard reset (loosing some local information). 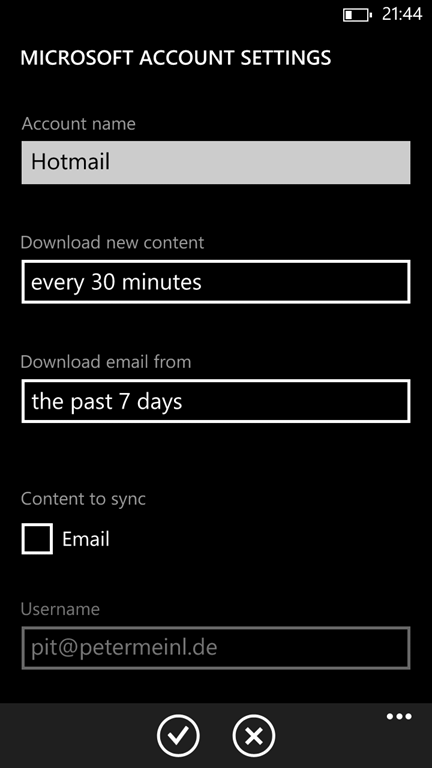 Selecting “Show to-dos…” syncs Office 365 Tasks with the phone’s calendar. During the migration process I had to move calendar entries, tasks and many (5000+) emails from one Server to another. I did this by configuring all server accounts in a Outlook desktop app and simply using copy&paste to copy the items. With the calendar items and tasks I first filtered for the ones I wanted (Ex. NOT category:holiday) an then used CTRL-A to select all, CTRL-C to copy them and CTRL-V to paste them. There is no right-click menu item for pasting in Outlook. With some email folders I simply did a CTRL-A to select all messages and copied them. The Outlook desktop app automatically synced the copied items to the Office 365 server. Even after the status bar said all folders were up to date and the status message “Updating sent items” no longer showed, the number of messages was not correct for a while. After several hours all messages were synced and my desktop and notebook Outlook showed the same number of items in all folders. This entry was posted in Computers and Internet and tagged Office_365, Outlook, Windows_Phone. Bookmark the permalink.